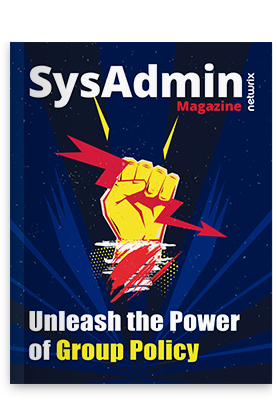 The Netwrix blog is famous for its series of blog posts that provide IT pros with powerful PowerShell commands for Active Directory. Using these helpful cmdlets, you can easily collect the required information without spending too much time on scripting. Sounds good, doesn’t it? Today, we compiled a list of all these blog posts so that you can easily find the Active Directory PowerShell script to solve your specific problem and make your IT environment more secure. Check out our step-by-step guide to learn how to find information about such AD objects as new, inactive or disabled users; users whose passwords never expire; disabled or inactive computers, AD site information and much more. Easily obtain a list of inactive computer accounts in Active Directory with the help of PowerShell script. Learn how to query Active Directory for locked-out user accounts in just one step. Check out a simple PowerShell script that will help you to generate a list of expired user accounts in Active Directory. Need to make sure that unwanted AD user accounts do not have the “Password Never Expires” attribute set? Use a few PowerShell commands from this article. Find various AD site information such as AD site location, site options configured, ISTG assigned to the site, and more by using a bunch of powerful cmdlets. Use a handy PowerShell script to find disabled or inactive user and computer accounts in Active Directory. Discover new users added to AD within the last 24 hours and email their credentials by using PowerShell. Create Active Directory accounts in bulk and send them a welcome email in two simple steps by using PowerShell. Now you can easily use PowerShell to query Active Directory. Has this info made you happy? Then please share your feedback and feel free to give us ideas for new blog posts on Active Directory PowerShell scripts.